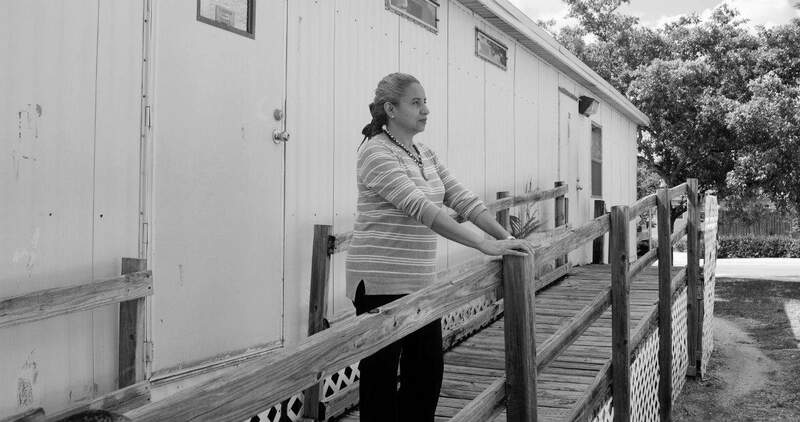 Their roots (and ours) go back more than 30 years – the Vidales children spent their adolescence at the Everglades Labor Camp growing up in a large family and an even larger rental community of migrant and seasonal farm workers that Rural Neighborhoods wrested from Miami-Dade County in 1982. Those leadership lessons stuck. From a childhood in which brothers and sisters picked crops before school, each took leave from Everglades to attend college, raise families, become homeowners and step up, too. Through more than 25 years of public service, the Vidales have left their mark on their old neighborhood. Irasema, the eldest sibling, teaches special education students, Beatriz and Oberlin both instruct, counsel and tutor migrant children from the Title I Migrant Education Program. Rena recently left to start a family after 17 years in migrant education and feels strongly she’ll return. The youngest sister, Johanna, is building a career at the Miami-Dade Department of Public Works. Fabiola, we’re proud to say, works for us. Her job as Senior Account at Rural Neighborhoods helps families still living in run-down trailers (not unlike the one in which she grew up) find true homes. Perhaps it’s providence that Fabiola Vidales’ job finds her so close to her childhood. “I go to work every day just steps away from the places I used to play. My brother counsels migrant children most weeks just across the street.The community we grew up in has touched my brothers and sisters all our lives.” Rural Neighborhoods is even more grateful how our former residents have touched the lives of others.